Are you worried about your future because you were wrongly arrested for DWI? Maybe you weren’t even operating your vehicle but you were in it. Maybe the police totally got it wrong and arrested you out of suspicion. Here is how a DWI lawyer can help. 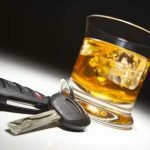 As an experienced Kenmore DWI Attorney I am frequently asked “If I’m sleeping in my vehicle and the car is not running or moving, can I get arrested for a DWI?” The answer depends on a number of different variables such as were your keys in the ignition? Was the car running? Was your intent to drive the vehicle while you were intoxicated? My office looks into all these facts, investigates all the circumstances, and we will defend you if your car was not moving and your intent was not to drive. As an experienced Buffalo DWI Lawyer, oftentimes a client of mine will come to me and say, “Why was I pulled over?” In legal terms, we call that probable cause. Why were they pulled over? Was there a legal reason or a valid reason to pull someone over? An example of not having a valid reason to pull someone over is if they were not in the vehicle when the police arrived, and they were walking down the street, they did not have the keys to the car, but they still got arrested for DWI. A defense lawyer will argue there was no probable cause to make an arrest. If you were wrongly arrested for DWI, our Buffalo DWI lawyer Arthur Pressman can use his decades of experience to fight for your ticket to justice. Please call our office today for a free consultation.